Glamorgan have left spinner Dean Cosker out of their squad for the County Championship Division Two match against to face Essex starting on Monday. He'll be replaced by either spinner Andrew Salter or seamer Ruaidhri Smith. 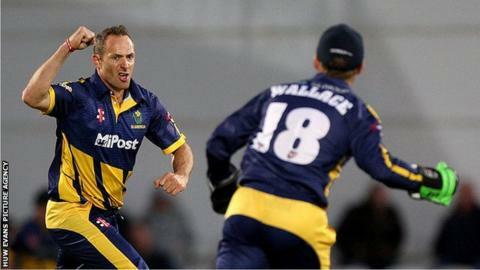 Cosker hit a career-best 69 against Kent to help Glamorgan to a draw at Canterbury, and also claimed 4-30 in the T20 Blast against Surrey. But the 37-year-old has taken only six wickets at an average of 87 in four championship matches this year. Glamorgan have drawn all four championship games so far this season to lie sixth in division two, while visitors Essex are one place and five points behind having played one game fewer. The last five encounters between the teams at the Swalec Stadium have all ended in draws. Essex look likely to be without New Zealand all-rounder Jesse Ryder who missed their T20 Blast defeat against Surrey through injury.